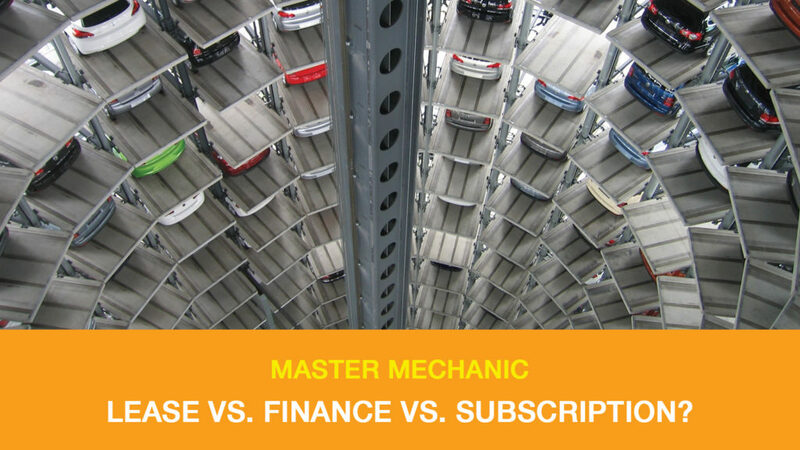 At Master Mechanic, we get a lot of questions about upgrading to new cars. Traditionally speaking, those looking to buy a new car had two options: lease or finance. With the rise of Uber, Lyft, and the like, many drivers are deciding to do away with ownership altogether. But what about those who fall in between car owner and Uber user? A newly emerging trend aims to satisfy that need. App-based driving subscriptions offer car sharing that’s paid by the month, instead the hour or day. It’s an exciting concept and one that’s catching on in major cities. According to recent projections by Boston Consulting Group, the car-sharing industry is expected to grow from the 5.8 million users back in 2015, to 35 million by 2021. Canadians are familiar with services like Zipcar that already aim to make car rental easier, but others with unique features are also popping up. Car-subscription startup, Fair, has secured over $1 billion in funding since 2016 and is gaining plenty of traction in the United States. Many other startups are also hoping to attract owner-wary drivers. Companies like Flexdrive and Carma Car are all aiming to own parts of the US market. Even car manufacturers are moving towards subscription models. This program lets subscribers swap between any number of Cadillac vehicles–up to 18 times a year–with everything bundled into the monthly price. Drivers are able to lease the new Ioniq electric vehicle (available in the US), with everything included in the fixed monthly price. Subscribers only need to cover their own insurance. Similar to leasing, this program gives drivers a variable priced based on things like the car’s value, the term you’d like to drive it (up to 12 months), and the mileage you’ll need during that time. Exclusive for the XC40 or V60, on a 2-year term, users get the car with all extra features and add-ons for one monthly price. Subscription services are not only for entry-level drivers either. Porsche Passport provides users with the option to swap their car for a different vehicle in the Porsche lineup (depending on the tier selected), as many times as they want. That’s just a handful of the many car sharing services currently south of the border. Of the list, Care by Volvo, has expressed the most interest in launching in Canada. Car sharing offers most of the convenience that ownership does, with much less responsibility. Is car sharing an idea you could warm up to? It looks like it’s on the way. If you have any questions in the meantime about upgrading your current car or are looking to have it serviced, contact your local Master Mechanic today!